Wranglers TJ A/C Vent Switch Pod. Kit includes 1 amber marine style rocker switch, and a dual USB connector. Fits: 1997, 1998, 1999, 2000, 2001, 2002, 2003, 2004, 2005, 2006 Jeep Wrangler TJ All Models. The switch pods integrated design is a direct snap-in replacement for your factory vent and allows for conveniently placed mounting of up to two switches. 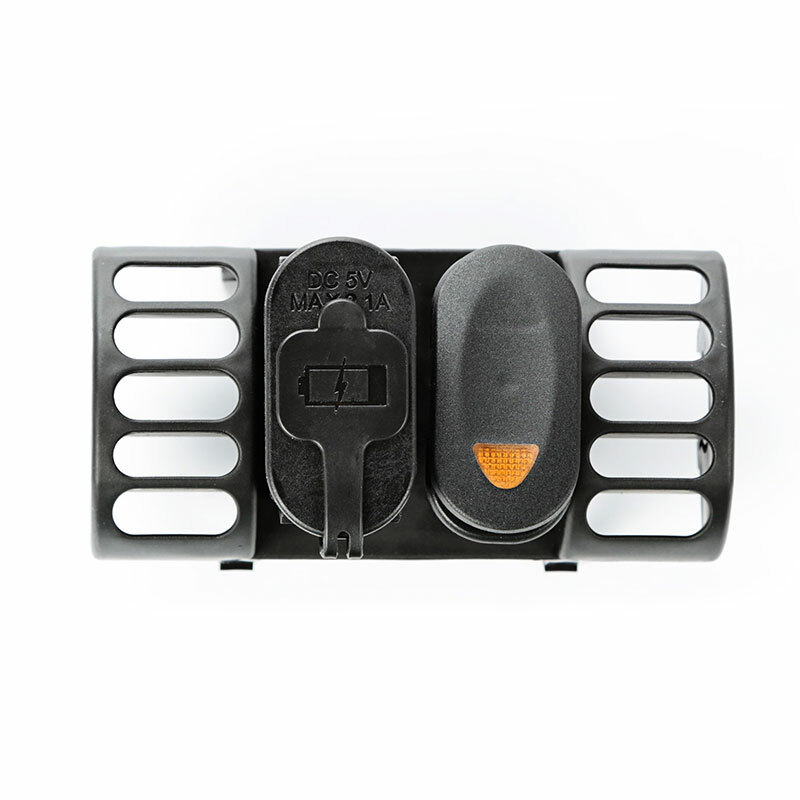 Each kit includes the vent switch pod, a 2-position amber rocker switch and a handy Dual USB charging port to keep all of your electronic gadgets charged.